J. Kelly Flanagan is currently the Vice President, Information Technology and Chief Information Officer of Brigham Young University. Kelly also serves as the CIO for the Church Educational System of the LDS Church. He has published numerous technical papers, acquired significant external research funding, has won several awards, and has received three patents. 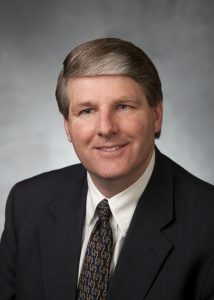 Kelly received his Ph.D. in Electrical and Computer Engineering in 1993 from BYU and worked for nearly a year at Intel Corporation in Hillsboro, Oregon before returning as a member of the BYU faculty.